As a leading supplier of turnkey theatre solutions and critical care power for Group 2 medical locations Bender UK is delighted to incorporate pendants as part of its clinical and turnkey offer. Contempo Clinical Pendants provide a safe and flexible solution for the positioning of medical equipment and associated gas and electrical supplies at the optimal location within the patient environment. Reducing the spread of contamination and bacteria is vital in critical care environments - Contempo Pendants are designed to improve infection control. With minimal exposed screw fittings and no recesses that can harbour dirt and bacteria, the pendants are easy to clean and disinfect. All Contempo Pendants are constructed from aluminium and the modular configuration enables additional outlets, equipment mounts and accessories to be introduced in the future to keep pace with changing clinical practices. 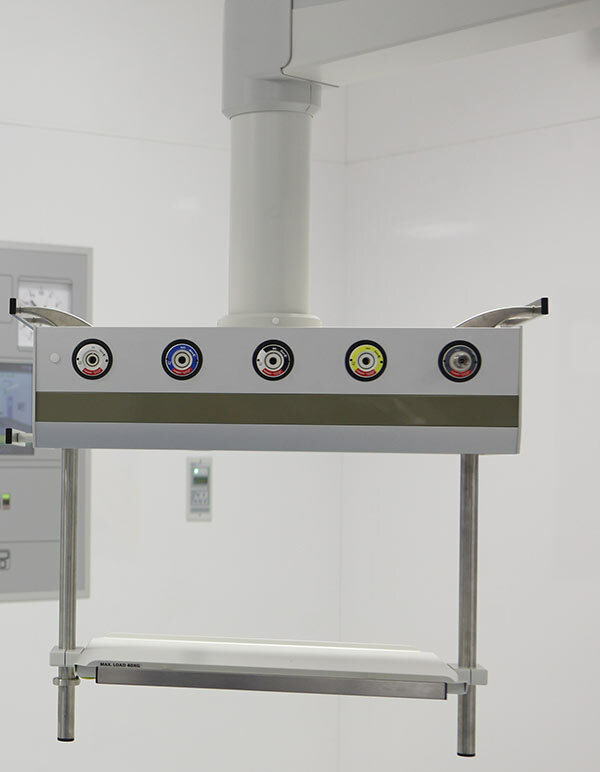 The Contempo Pendants allow multiple functions within a compact footprint increasing access to the medical environment. The range is extremely versatile and comes in a variety of colour choices to suit any clinical setting. The configuration of the outlets and accessories is determined entirely by the clinical need resulting in fully tailored solutions for operating theatres and critical care wards. Bender has a team of engineers who project manage, install, commission and service pendants with turnkey equipment packages. Gareth Brunton said: “We are highly renowned for critical care power systems in Group 2 medical locations, although we are less well known for our clinical packages. Following the tremendous success we have had supplying Merivaara Q-Flow Operating Lights, the new pendant range will complement our existing turnkey theatre solution and provide our customers with a single source package option from an established and reputable supplier”.